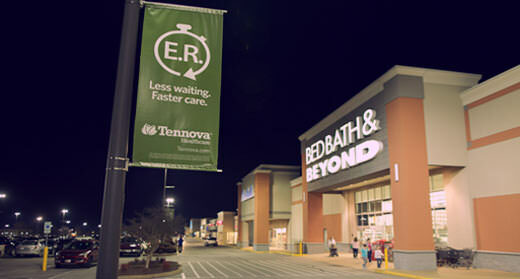 Look Banners deliver high-impact GRPs verified with cutting edge attribution in 170+ DMAs for both general market & retail targeting. 42.5% of trips are for shopping and errands*. 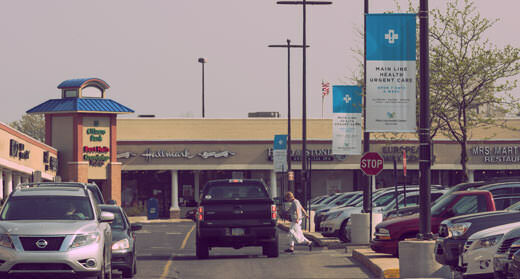 People visit shopping centers for daily necessities, entertainment and health. 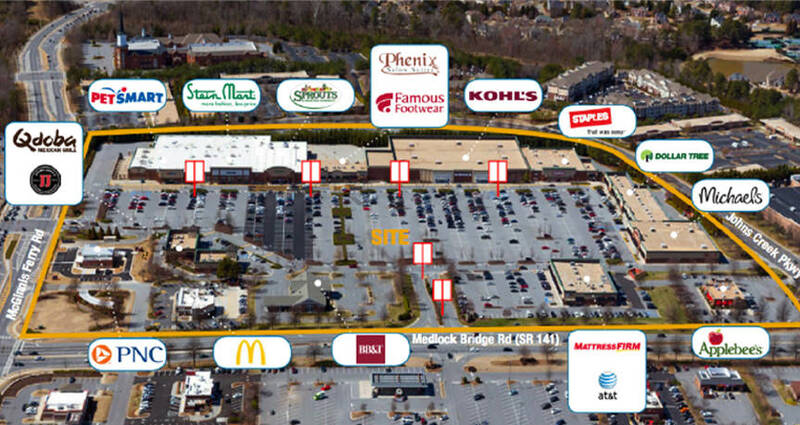 Our portfolio of locations includes major big box stores, supermarkets, pharmacies & specialty retailers. Look banners dominate the environment hanging low on the pole. Parking lot speeds assures a long read and dwell time. 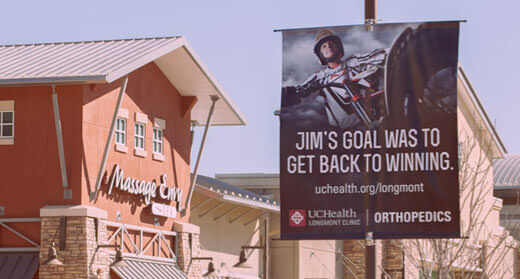 A minimum of 12 faces (6 banners) per location means multiple impressions per visitor. 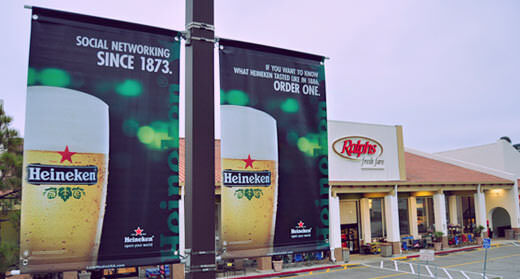 Flexible placements and number of banners optimize your target audience and impact. All units are illuminated. 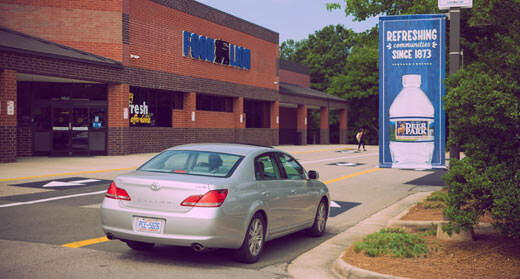 Banners become part of people’s everyday lives as consumers. They are part of the experience, not interruptive or annoying. Our proprietary audience attribution system combines mobile device GPS data with US Census data to generate deep audience insights. 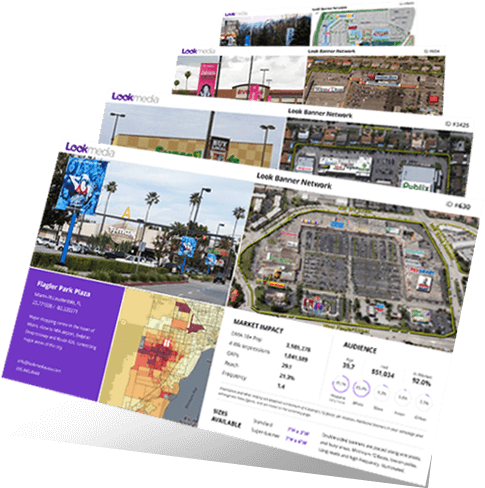 Each proposal includes detailed location profiles and a layered map showing the combined impact from multiple locations in the media buy. With an average of 45 locations per market in the top 50 markets, we have an unprecedented ability to offer highly customized coverage and targeted TRPs. 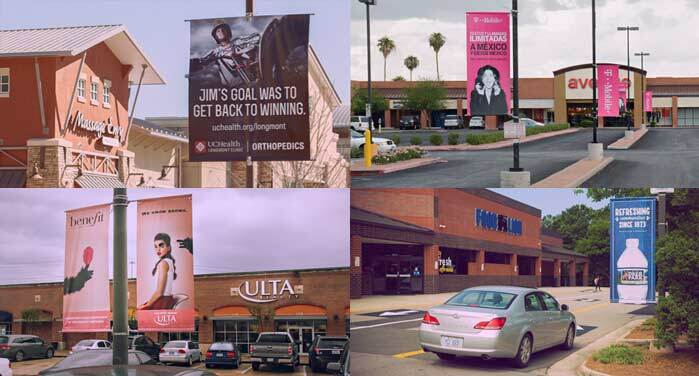 The Look Banner Network covers 170+ DMAs at over 3,000 shopping centers. Choose our PRIME coverage option for the best spots in top markets, with high traffic and efficient general coverage. Extend the life of your campaign on social media with shareable, award-worthy creative executions. 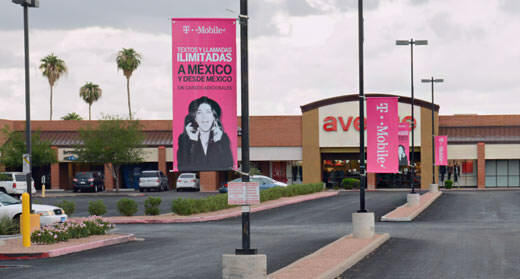 Pole banners have been used in ingenious ways around the world. We can do custom elements, pole wraps, die-cuts and 3D extensions. Also, our extensive partnerships with shopping centers give us great insights for planning retail-based Experiential Sampling campaigns.